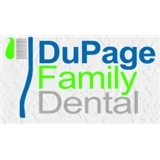 DuPage Family Dental (Winfield) - Book Appointment Online! My visit was very pleasant. Everything was explained to me as it was being done. Future work and estimates were also provided. It was fast, professional, and I felt comfortable.